We all want perfectly hydrated, glowing skin. But what if your skin is tight, flaky, or dull? The key to achieving your best complexion is to understand whether you have dry skin or dehydrated skin. 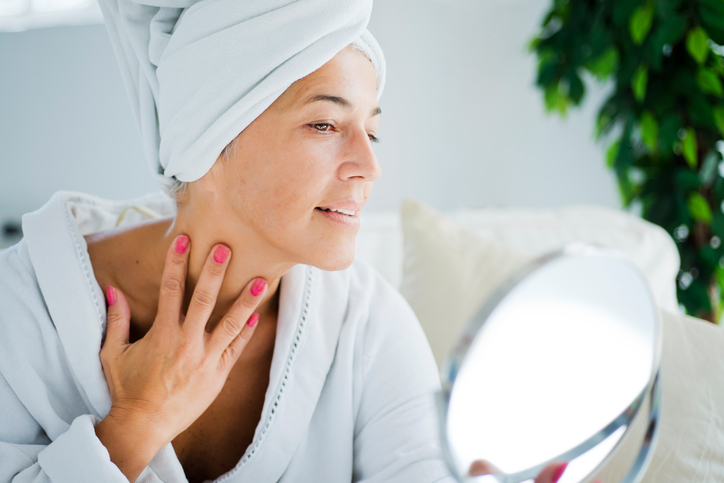 On the surface, dry skin and dehydrated skin may seem very similar. However, dry skin is a skin type, while dehydrated skin is a skin condition. They each have very different causes, and therefore require different treatments. Keep reading to find out whether your skin is dry or dehydrated, and how to fix it. Dry skin doesn’t produce as much natural oil (sebum) as normal skin. Sebum holds in moisture, so without it, skin becomes dry and flaky with more pronounced wrinkles. Dry skin also means that skin’s natural protective barrier could be compromised, leading to inflammation and sensitivity. If you have dry skin, you’ve probably always had it. Dry skin is one of the skin types, along with oily, combination, and normal. Your skin type is determined by genetics, rather than external factors. Skin feels dry all year long, regardless of the season. However, external factors like weather can exacerbate dry skin and make it worse. ● Use heavy, emollient-rich moisturizers to lock in skin’s natural moisture. Ingredients to look for include shea butter, jojoba oil, sunflower seed oil, and beeswax. Herbacin Day Cream is great for keeping dry skin soft and hydrated all day long. ● Only use very gentle skin cleansers, or make the switch to an oil cleanser. ● Gently exfoliate weekly to improve flakiness. ● Invest in a humidifier, especially if you live in a dry climate or heat your home during the winter. Does your skin ever feel tight and parched in the winter or after a long flight? You have dehydrated skin. Unlike dry skin, dehydrated skin is NOT a skin type. Dehydrated skin is a temporary condition when the skin loses moisture from external or internal factors. In fact, you can have an oily skin type and still have dehydrated skin, especially if you use harsh products designed to fight acne. Even though dehydrated skin is a temporary condition, however, you can still have dehydrated skin for a long time. Dehydrated skin can be the result of dry weather, internal dehydration, or using products with drying ingredients. One way to tell if you have dehydrated skin is to do a pinch test. Pinch the skin on the back of your hand. If it easily bounces back, your skin is adequately hydrated. If you skin doesn’t bounce back, it’s dehydrated. ● Use a moisturizer with humectant ingredients like hyaluronic acid or glycerin, such as Herbacin Anti-Age Serum. Humectants draw water from the air into the skin, keeping it hydrated and soft. ● Use a gentle cleanser that doesn’t strip skin’s natural oils. ● Use a replenishing toner that rehydrates skin after cleansing. 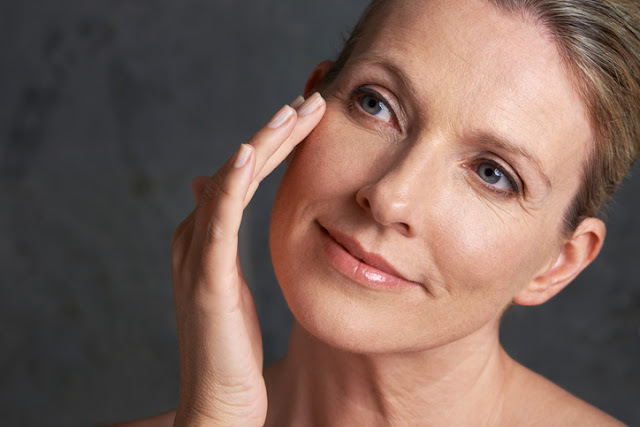 ● Cut back on exfoliation and potent skincare products like retinol and vitamin C serums to see if skin improves. ● Drink plenty of water and avoid dehydrating beverages that contain alcohol and caffeine. Do you have dry or dehydrated skin? Let us know in the comments!